I took a day off work yesterday and I'm pleased I did, as the weather today (Good Friday) is awful. It was bright and sunny but the wind which moved from north-west through north to north-east whilst I was there, was very cold, making it feel like winter. I set off to Druridge hoping to see some returning migrants..sand martin, black-tailed godwit, garganey, sandwich tern, wheatear maybe? Maybe even some something more scarce like an osprey or ring ouzel? Other than a signing chiffchaff, the only 'migrant' was a smart male white wagtail amongst the beast in the dunes north of the bushes. There are still about 30 teal and wigeon on the Budge fields and a few shovelers. A single dunlin was 'new-for-the-year' it was with a handful of snipe and a redshank. Other than canada geese and mute swans, there was only tufted duck and gadwall on the big pool. 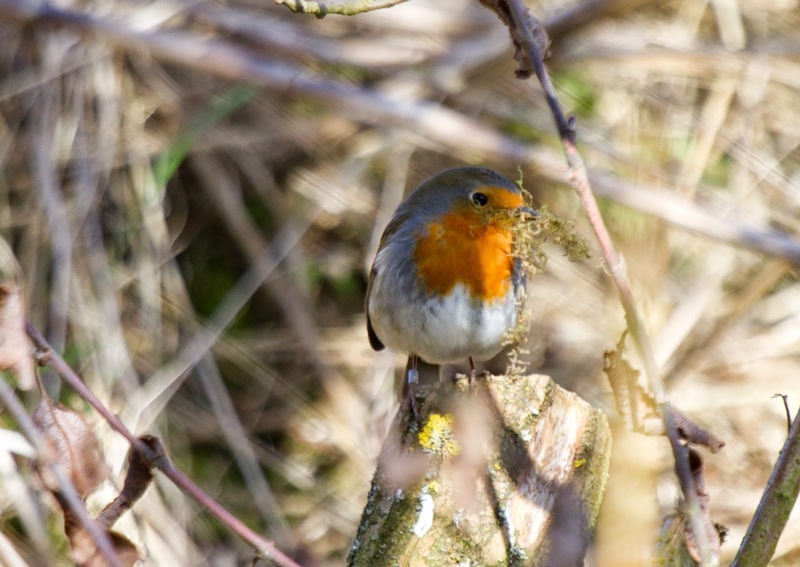 Nearby, this robin was collecting nesting material - at least the robins think it is spring. 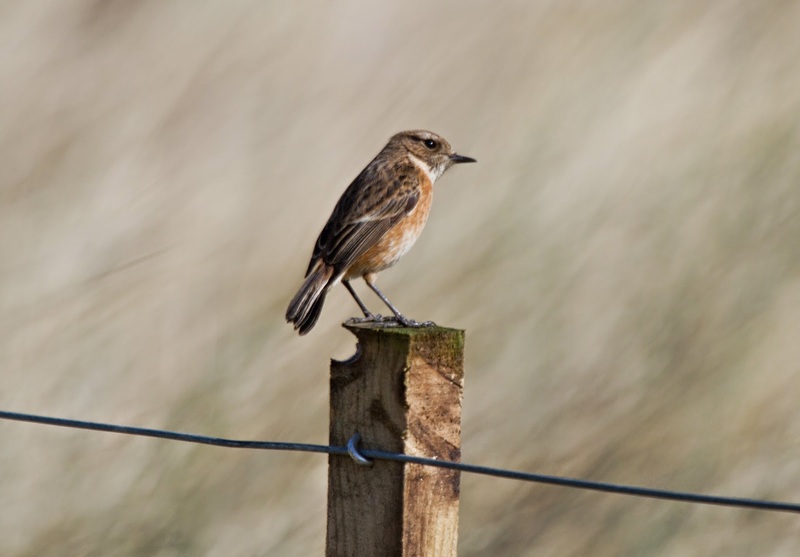 Out in the dunes, the stonechats seemed to be paired up. 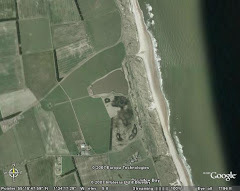 There was a flock of about 30 linnets in the dunes where the beast are fed, with a few goldfinches and a pair of grey partridges. About 15 sanderling were on the beach, these could well be returning birds. Offshore, a pair of eiders were a year-tick but there were not terns and I still haven't seen a lesser black-back! Looking back toward the preceptory, there was a 'kettle' of four buzzards, they soon split off into their respective pairs and parted company.